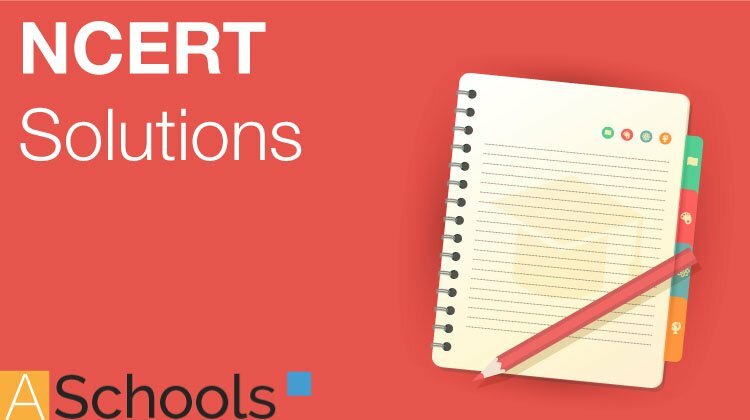 Here you can get Class 12 Important Questions Physics based on NCERT Text book for Class XII. Physics Class 12 Important Questions are very helpful to score high marks in board exams. Here we have covered Important Questions on Electromagnetic Induction for Class 12 Physics subject. (a) 2 Bo L2 Wb. (c) 4 Bo L2 Wb. (b) 2 Bo L2 Wb. (c) √2 Bo L2 Wb. (d) 4 Bo L2 Wb. A cylindrical bar magnet is rotated about its axis (Fig 6.1). A wire is connected from the axis and is made to touch the cylindrical surface through a contact. (a) a direct current flows in the ammeter A. (b) no current flows through the ammeter A. (c) an alternating sinusoidal current flows through the ammeter A with a time period T=2π/ω. (d) a time varying non-sinusoidal current flows through the ammeter A. (a) there is a constant current in the clockwise direction in A. (b) there is a varying current in A. (c) there is no current in A. (d) there is a constant current in the counterclockwise direction in A. (a) l and A increase. (b) l decreases and A increases. (c) l increases and A decreases. (d) both l and A decrease. (a) a direct current is passing through the plate. (b) it is placed in a time varying magnetic field. (c) it is placed in a space varying magnetic field, but does not vary with time. (d) a current (either direct or alternating) is passing through the plate. (a) the coil being in a time varying magnetic field. (b) the coil moving in a time varying magnetic field. (c) the coil moving in a constant magnetic field. (d) the coil is stationary in external spatially varying magnetic field, which does not change with time. (a) increases when they are brought nearer. (b) depends on the current passing through the coils. (c) increases when one of them is rotated about an axis. (d) is the same as M21 of coil 2 with respect to coil 1. (a) the magnetic field is constant. (b) the magnetic field is in the same plane as the circular coil and it may or may not vary. (c) the magnetic field has a perpendicular (to the plane of the coil) component whose magnitude is decreasing suitably. (d) there is a constant magnetic field in the perpendicular (to the plane of the coil) direction. Consider a magnet surrounded by a wire with an on/off switch S (Fig 6.4). If the switch is thrown from the off position (open circuit) to the on position (closed circuit), will a current flow in the circuit? Explain. A wire in the form of a tightly wound solenoid is connected to a DC source, and carries a current. If the coil is stretched so that there are gaps between successive elements of the spiral coil, will the current increase or decrease? Explain. A solenoid is connected to a battery so that a steady current flows through it. If an iron core is inserted into the solenoid, will the current increase or decrease? Explain. Consider a metal ring kept (supported by a cardboard) on top of a fixed solenoid carrying a current I (see Fig 6.5). The centre of the ring coincides with the axis of the solenoid. If the current in the solenoid is switched off, what will happen to the ring? Consider a metallic pipe with an inner radius of 1 cm. If a cylindrical bar magnet of radius 0.8cm is dropped through the pipe, it takes more time to come down than it takes for a similar unmagnetised cylindrical iron bar dropped through the metallic pipe. Explain. A magnetic field in a certain region is given by B = Bo cos(ωt) ^k and a coil of radius a with resistance R is placed in the x-y plane with its centre at the origin in the magnetic field (see Fig 6.6) . Find the magnitude and the direction of the current at (a, 0, 0) at t = π/2ω, t = π/ω and t = 3π/2ω. Consider a closed loop C in a magnetic field (Fig 6.7). The flux passing through the loop is defined by choosing a surface whose edge coincides with the loop and using the formula φ = B1.dA1 + B2.dA2 + … . Now if we chose two different surfaces S1 and S2 having C as their edge, would we get the same answer for flux. Find the current in the wire for the configuration shown in Fig 6.8. Wire PQ has negligible resistance. B, the magnetic field is coming out of the paper. θ is a fixed angle made by PQ travelling smoothly over two conducting parallel wires separated by a distance d.
There are two coils A and B separated by some distance. If a current of 2 A flows through A, a magnetic flux of 10-2 Wb passes through B (no current through B). If no current passes through A and a current of 1 A passes through B, what is the flux through A? A magnetic field B = Bosin(ωt)^k covers a large region where a wire AB slides smoothly over two parallel conductors separated by a distance d (Fig. 6.10). The wires are in the x-y plane. The wire AB (of length d) has resistance R and the parallel wires have negligible resistance. 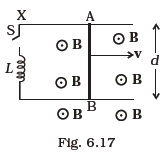 If AB is moving with velocity v, what is the current in the circuit. What is the force needed to keep the wire moving at constant velocity? A conducting wire XY of mass m and negligible resistance slides smoothly on two parallel conducting wires as shown in Fig 6.11. The closed circuit has a resistance R due to AC. AB and CD are perfect conductors. There is a magnetic field B = B(t )kˆ . (i) Write down equation for the acceleration of the wire XY. (ii) If B is independent of time, obtain v(t) , assuming v (0) = u0. 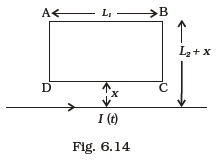 (iii) For (b), show that the decrease in kinetic energy of XY equals the heat lost in R.
ODBAC is a fixed rectangular conductor of negligible resistance (CO is not connected) and OP is a conductor which rotates clockwise with an angular velocity ω (Fig 6.12). The entire system is in a uniform magnetic field B whose direction is along the normal to the surface of the rectangular conductor ABDC. The conductor OP is in electric contact with ABDC. The rotating conductor has a resistance of λ per unit length. Find the current in the rotating conductor, as it rotates by 180°. Consider an infinitely long wire carrying a current I (t ), with (dI/dt) = λ = constant. Find the current produced in the rectangular loop of wire ABCD if its resistance is R (Fig. 6.13). A rectangular loop of wire ABCD is kept close to an infinitely long wire carrying a current I (t ) = Io (1 – t /T ) for 0 ≤ t ≤ T and I (0) = 0 for t > T (Fig. 6.14). Find the total charge passing through a given point in the loop, in time T. The resistance of the loop is R.
27 A magnetic field B is confined to a region r ≤ a and points out of the paper (the z-axis), r = 0 being the centre of the circular region. A charged ring (charge = Q) of radius b, b > a and mass m lies in the x-y plane with its centre at the origin. The ring is free to rotate and is at rest. The magnetic field is brought to zero in time Δt. Find the angular velocity ω of the ring after the field vanishes. A rod of mass m and resistance R slides smoothly over two parallel perfectly conducting wires kept sloping at an angle θ with respect to the horizontal (Fig. 6.15). The circuit is closed through a perfect conductor at the top. There is a constant magnetic field B along the vertical direction. If the rod is initially at rest, find the velocity of the rod as a function of time. 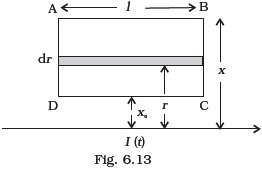 Find the current in the sliding rod AB (resistance = R) for the arrangement shown in Fig 6.16. B is constant and is out of the paper. Parallel wires have no resistance. v is constant. Switch S is closed at time t = 0. 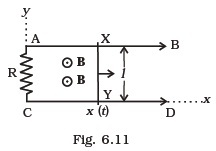 Find the current in the sliding rod AB (resistance = R) for the arrangement shown in Fig 6.17. B is constant and is out of the paper. Parallel wires have no resistance. v is constant. Switch S is closed at time t = 0. A metallic ring of mass m and radius l (ring being horizontal) is falling under gravity in a region having a magnetic field. If z is the vertical direction, the z-component of magnetic field is Bz = B0 (1+λ z). If R is the resistance of the ring and if the ring falls with a velocity v, find the energy lost in the resistance. If the ring has reached a constant velocity, use the conservation of energy to determine v in terms of m, B, λ and acceleration due to gravity g.
A long solenoid ‘S’ has ‘n’ turns per meter, with diameter ‘a’. At the centre of this coil we place a smaller coil of ‘N’ turns and diameter ‘b’ (where b < a). If the current in the solenoid increases linearly, with time, what is the induced emf appearing in the smaller coil. Plot graph showing nature of variation in emf, if current varies as a function of mt2 + C.